The front face L-R: Mametz 3, Polygon Sitter 5, Polygon 4, High Wood 3. The good boulder is behind the remaining trees on the crest of the hill on the left. The wall of Crimp Imp 6a and the arête, Delville 6b+. Both sit starts. 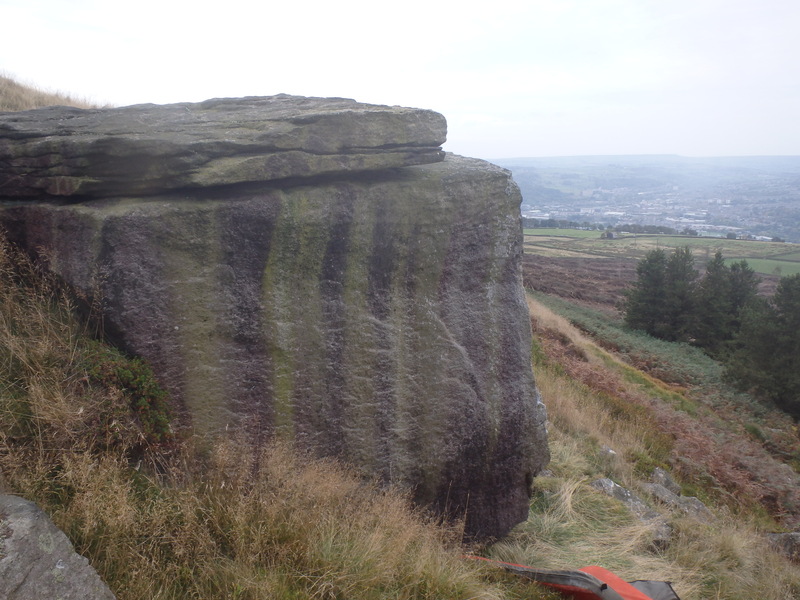 The plantation covering the western half of Rivock Edge has been felled. 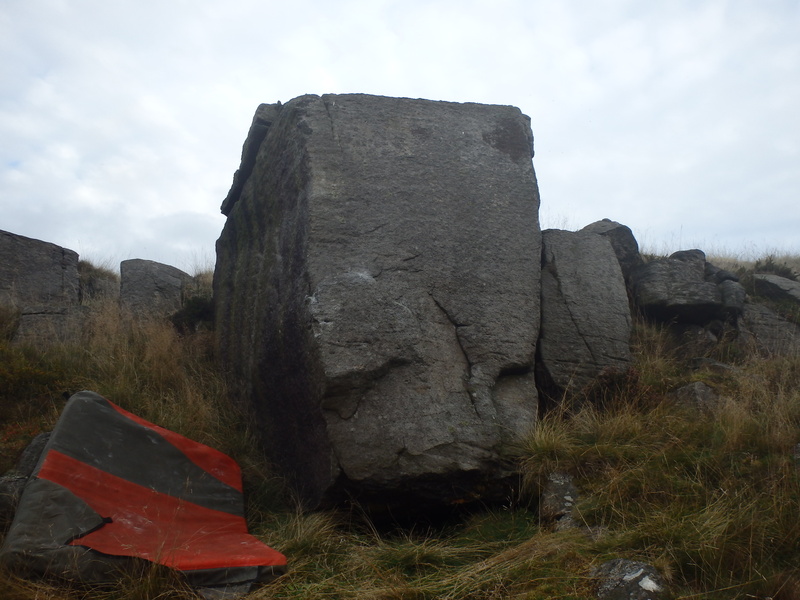 Paul Farish and I visited these boulders a few years ago and climbed on the right hand group (just over the wall from the good Rivock Boulders covered on this site and in the YMC guide). We weren’t impressed enough to record anything and the tree clearance hasn’t really made this area anymore appealing. However, the western most clump of boulders on the skyline yielded one really decent square block among a lot of shorter rocks. The names are inspired by the desolation left by the logging operations, so reminiscent of the shattered woods of the Great War. This area does not seem to be officially on Access Land.